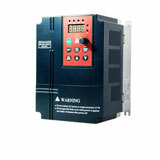 Many VFD brands can provide VFD solution to meet your requirements on the reliability, performance and services. However, it's very much depend on your application, where/who & how you are! - What is the VFD Application, environment, ... (All Technical Specifications Required)? - Customer type: OEM, Contractor, End User, ...? - How VFD unexpected shutdown & downtime affect the system or user's business? - What brand/product customer using or familiar with? 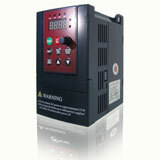 - Other equipment (motor, LV products, PLC, ...) brands in the system?